April 12, 2019 Most of my paintings are of vast landscapes but now and again I choose to focus on just a portion of the whole view. This is one such painting. 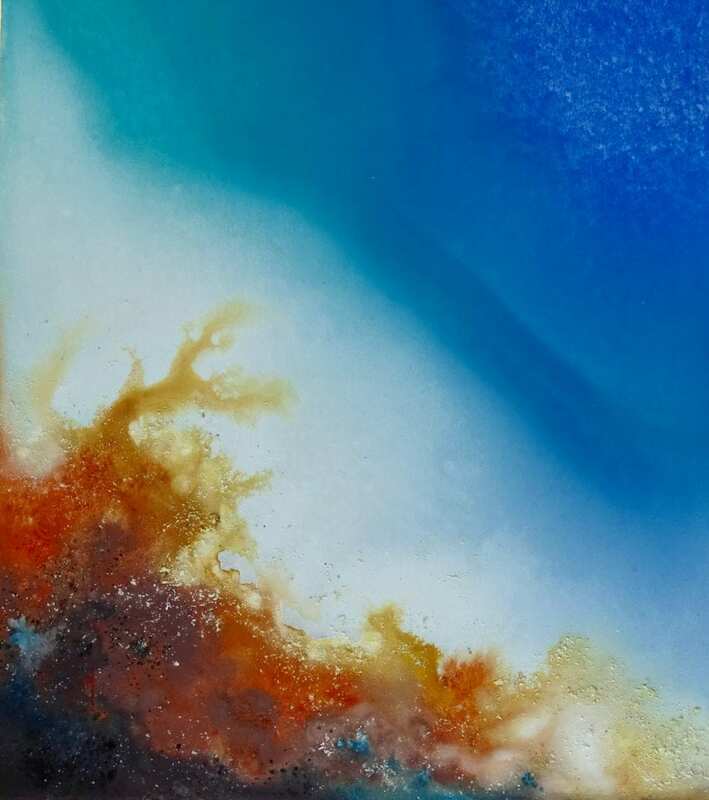 I love the interaction of the fluid paints melting into each other and the textures created by watercolor crystals. This is not and abstract painting, but it appears to be.